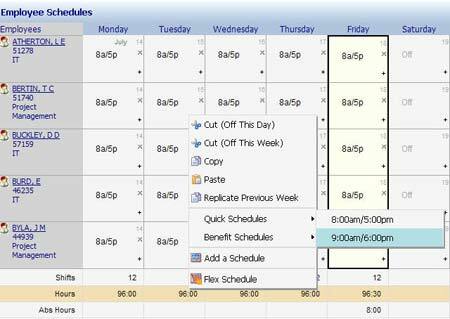 Accurate scheduling helps maximize the effectiveness of your workforce. 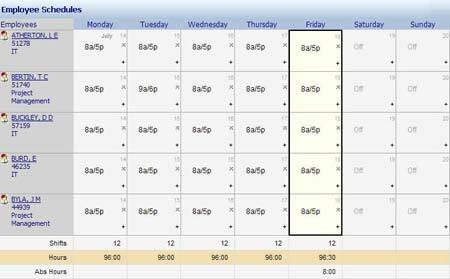 And easy scheduling means supervisors can schedule both effectively and quickly. 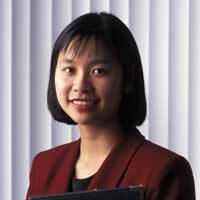 Create, view, or change a specific employee’s schedule weeks or months in advance. 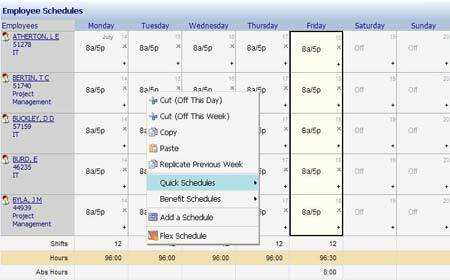 Create or change schedules right on the employee's time card. 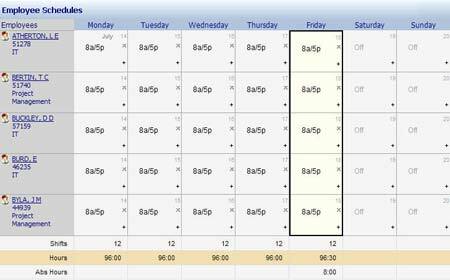 View schedules for a group of employees, seeing a single week of schedules for many employees on one screen. View schedule summary information for a whole month. Use automatic weekly or biweekly schedules that repeat without intervention.